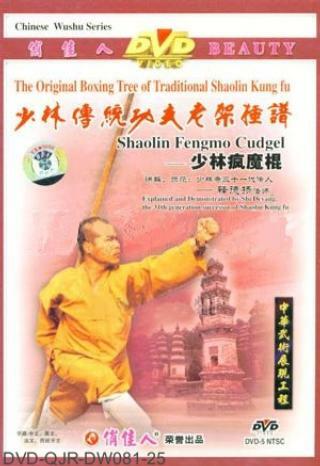 Shaolin Mad Demon Staff (Shaolin Fengmo Gun) belongs to the long weapon series of Shaolin wushu system. This routine is of distinct style and features with extended movements, agile frame transition, harmonic body and cudgel actions. Its techniques mainly consist of sweep, hit, point, hang, swing over, hatch, move away, block, swing, ward off and uppercut. The routine is performed with interleaving fast and slow speed and is of strong combat ability.